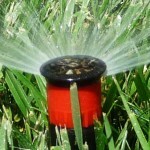 Is your drainage system in Maryland operating properly? There are innumerable benefits to a high quality drainage system. A drainage system in working order can not only save you money and use water more effectively, but make your home look even more beautiful. Drainage also contributes to the health of your lawn, making it lush and green so it can be enjoyed during the warmer weather. Water damage is also a definite threat to the longevity of any building, and drainage can help to protect it. 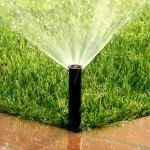 Aqua-Bright LLC is here to fill you in on information about drainage systems in Maryland. From 2002 to 2011, the total of flood insurance claims made averaged nearly $3 billion a year. Did you know that in high risk areas, there is a 1 in 4 chance of flooding during a 30 year mortgage? Unfortunately, the losses which flooding often causes are not covered by general homeowner’s and business insurance policies. 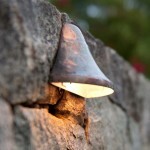 This is what makes drainage so important for any home. 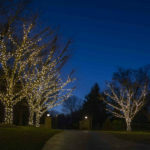 Many unforeseen inclement weather events, which used to be uncommon, are becoming increasingly common. These include severe storms, hurricanes, and tornados. Many of these can often contribute to flooding. It is important that your home is adequately prepared to handle these inclement weather situations with adequate drainage. This investment will protect your yard and basement from expensive water damage which may be difficult to correct later on. 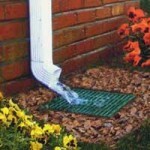 Does Your Home Require Drainage Help? If you can answer yes to any of these questions, than your home is definitely in need of some expert drainage help. Can you find unsightly standing water in your yard, sometimes even days after it rains? Do you find yourself constantly watering the edges of your plant beds? Is your sump pump overtaxed, and constantly running? Do you often find water leaking into your basement through the walls or floor? 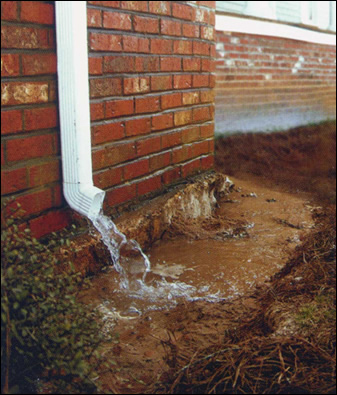 Have you noticed that your downspouts and sump pump are eroding the soil and mulch from around the foundation of your home? If you are experiencing any of these pesky problems on your property, it may be time to call in drainage experts to diagnose and create a solution that will help keep your home beautiful and in tact for years and years. This entry was posted on Friday, April 22nd, 2016	at 4:11 pm	. You can follow any responses to this entry through the RSS 2.0	feed. Both comments and pings are currently closed.